2 How does pet adoption work? 4 What does it take to adopt a pet? 6 Where can you adopt a pet? 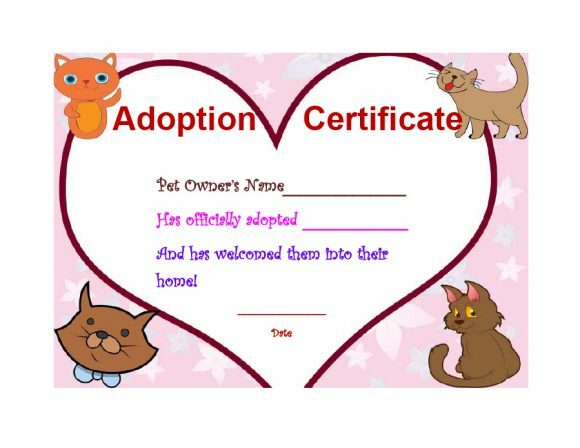 Having a pet adoption certificate is an excellent option. It reminds you of the happy time when you added a furry member to your family. 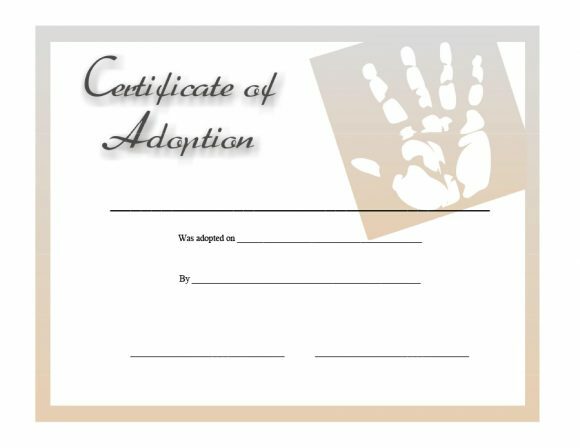 You can create your own adoption certificate template. 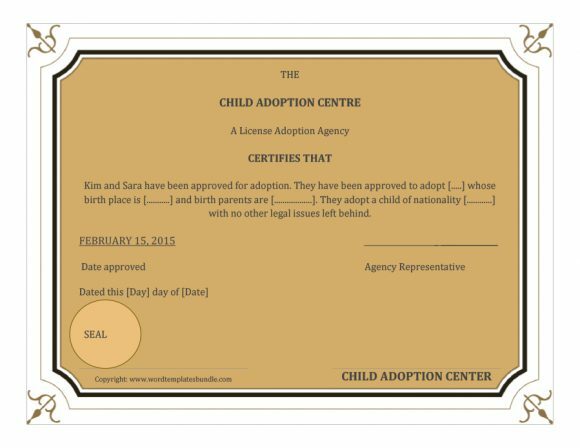 Ask from the adoption agency or even find a ready-made template online. This would be a fun keepsake you may have frames or saved in a scrapbook or a photo album. 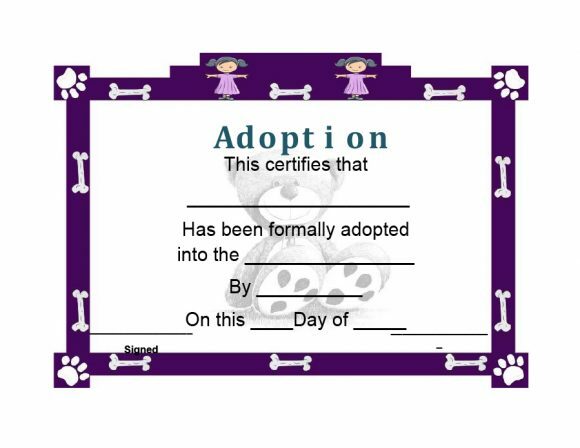 When you adopt a pet, you may have a cat/dog adoption certificate or an adoption birth certificate. All this is required if you’re adopting a newborn puppy or kitten. 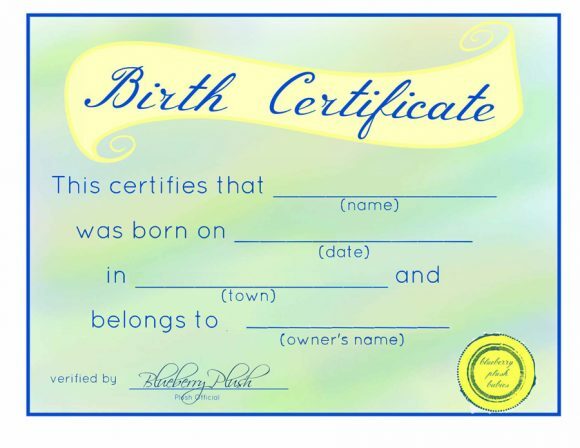 No matter what kind of certificate you make or get, it won’t be as “official” as other documents. Still, it would be a lot of fun to learn about creating and owning them. In this article, you’ll learn all about this kind of certificate so read on! 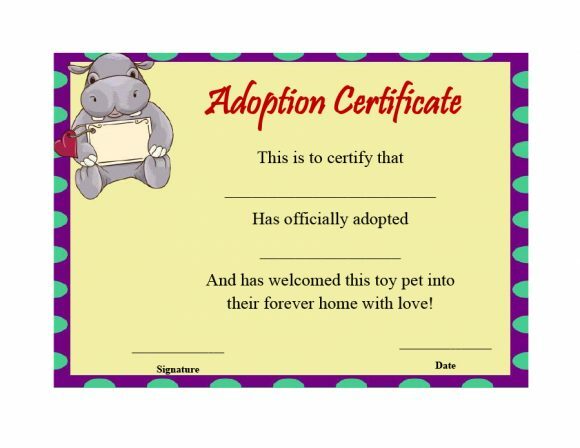 How does pet adoption work? When you adopt a pet, you need to consider a lot of things. Owning a pet comes with a lot of responsibility so think twice before you adopt one. You have to think about which pet would be right for you. 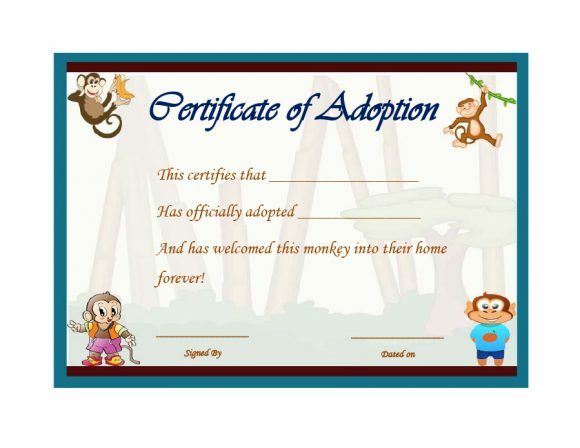 There are many options for pets and many places where you can adopt one. The same goes if you’re adopting a pet for your child. You need to explain all the responsibilities that come with it. First, you may look around to see all the pets which are available for adoption. Once you’ve selected a pet, one who would fit right into your home, you have to undergo an interview. 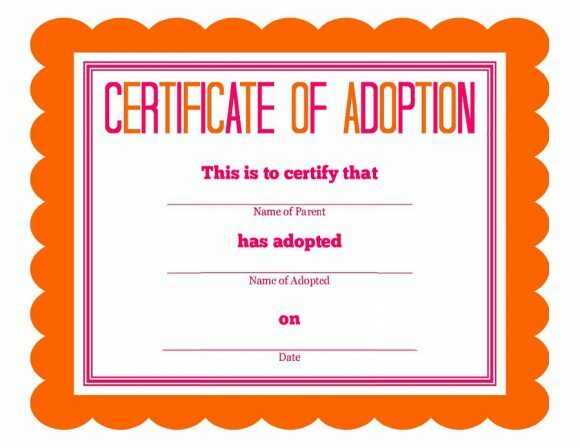 A representative from the adoption center will conduct the interview. He/she may ask some questions to make sure that you know how to take care of your pet. The representative will also determine whether the pet you’ve chosen is a good match for you. Sometimes, the interviewer gives you some valuable information. It tells you about the pet’s habits, personality, and medical history. The purpose of the interview is to ensure that you and your pet will enjoy each other’s company. All will happen once you bring him home with you. 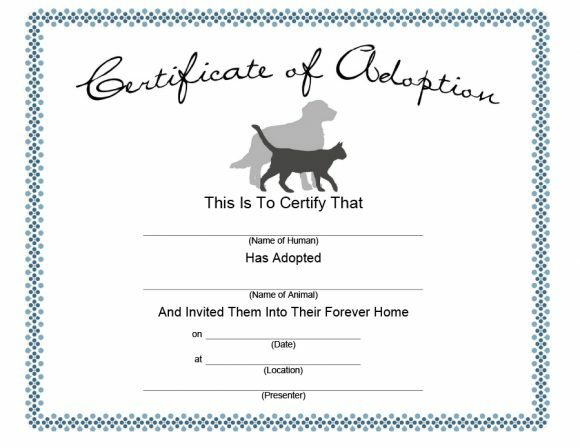 Another thing you’d have to do before you can adopt a pet is to fill-out some paperwork. 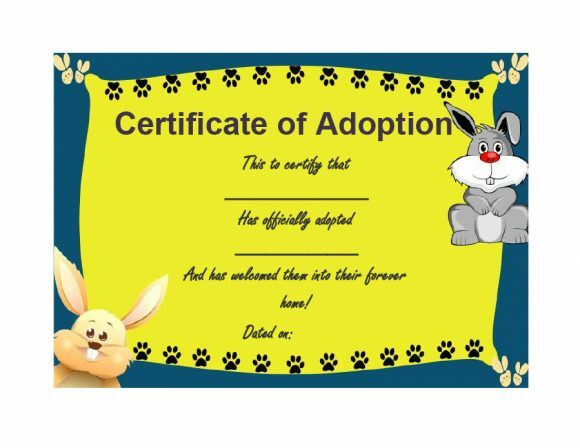 You may have to write on an application form and usually, you’d also have to pay a small adoption fee. 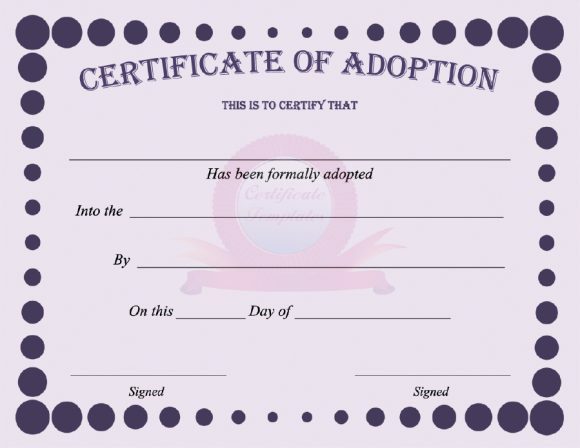 It’s would be a good idea to set aside about 1-2 hours of your day to complete all the procedures for adoption. Then you can take home your pet! Most of the time, you’d be able to bring your pet home on the same day. 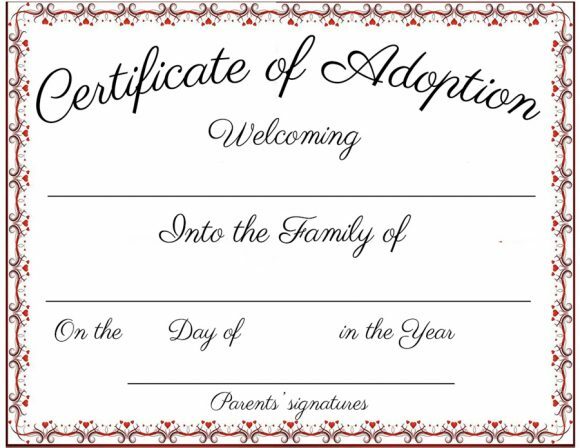 There are some adoption agencies which first needs a home visit. They handle everything before you can bring your furry friend home. 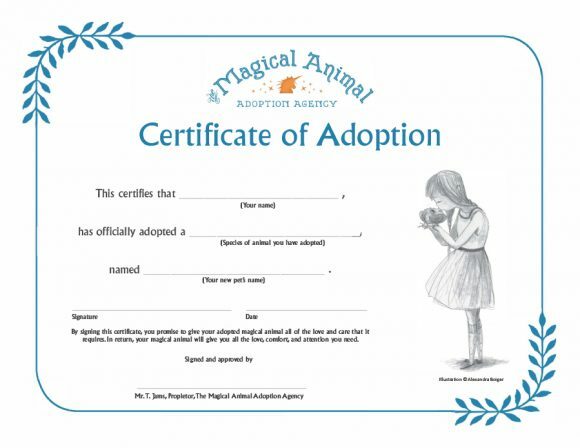 The adoption agency does this to make sure that the pet would remain safe in your care. Before you even start choosing from the pets available for adoption, it’s a good idea to ask the agency. They should be informed whether you can bring the pet home immediately or you’d have to wait a few days. 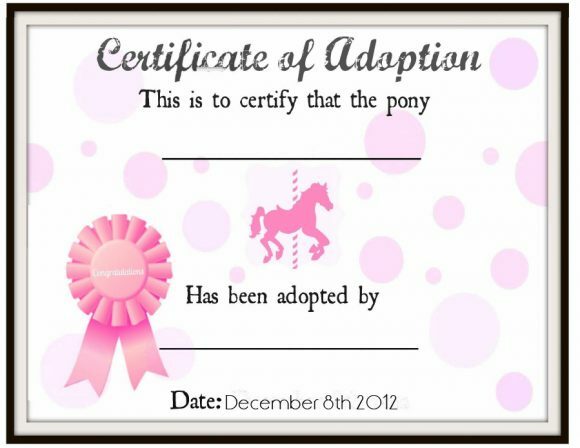 The process of adoption isn’t very complicated. But caring for a pet involves a lot more. 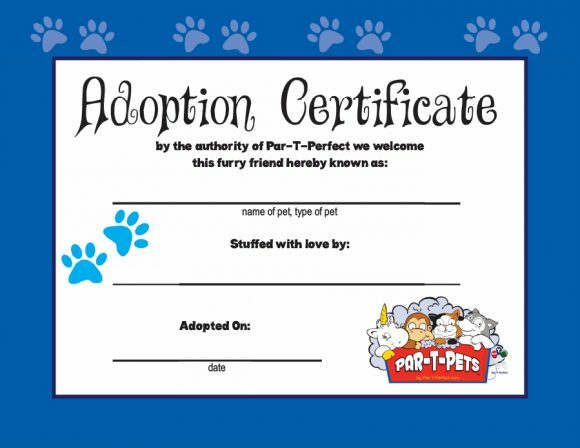 Before you can adopt a pet though, you may need to fulfill some requirements. Let’s discuss those next. 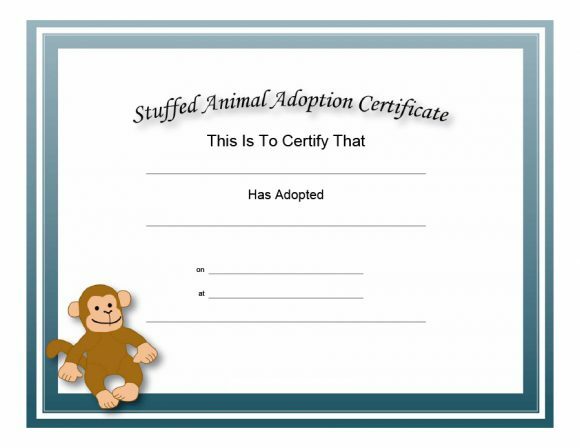 What does it take to adopt a pet? 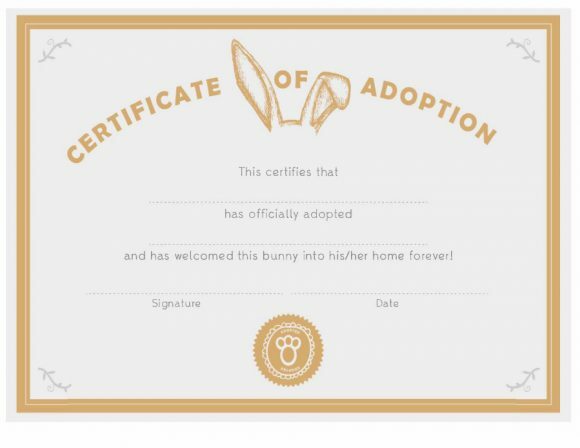 Adoption agencies are very happy when someone decides to give their pets a new home. There are many pets available in such places and they all need a good home. If you’re planning to adopt a pet, then good for you! Pets can be your loyal companions for years to come. 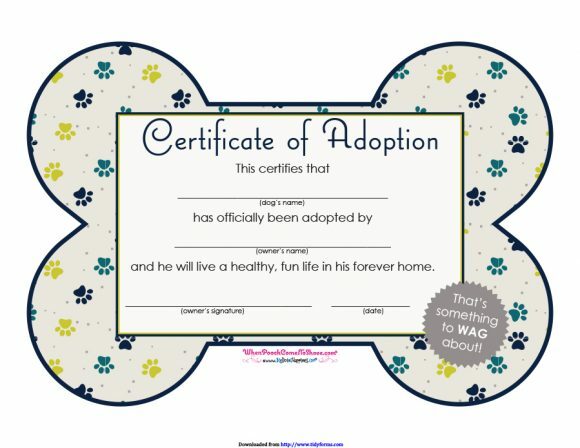 Or when you adopt a pet for your child, the gesture is sure to make him/her happy. It will also teach your child responsibility and other valuable lessons. 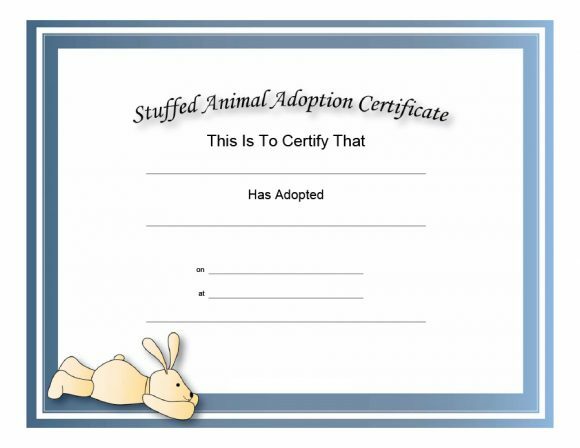 So what does it take to adopt a pet? First off, you need to know how to keep your pet healthy. 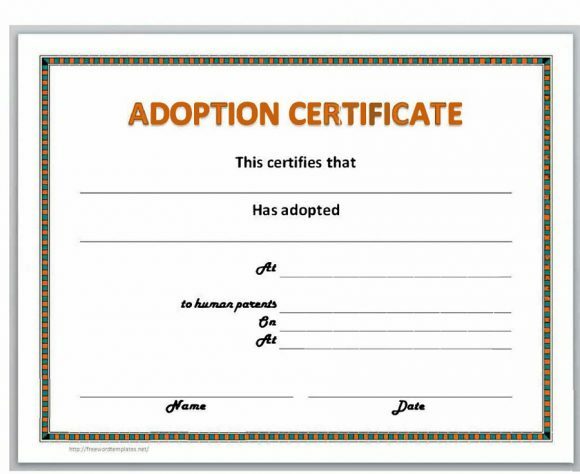 Adoption agencies will share a lot of information about pet care with you. So, the best adoption agencies either spay or neuter the pets. They also treat the pets as fleas and worms. 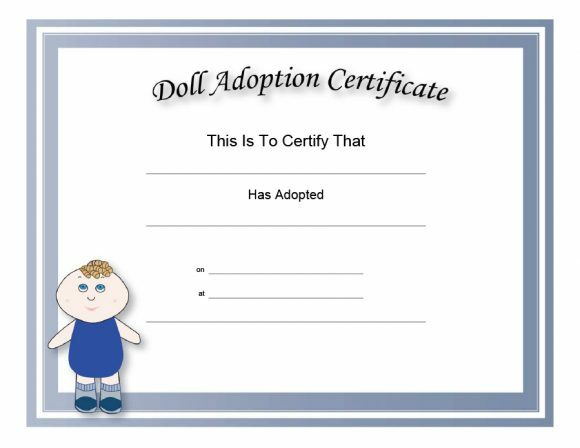 If your adoption agency doesn’t offer any of these, then you can ask where you can avail of these services. You also need to know a reliable veterinarian you can call in case your new pet gets sick. 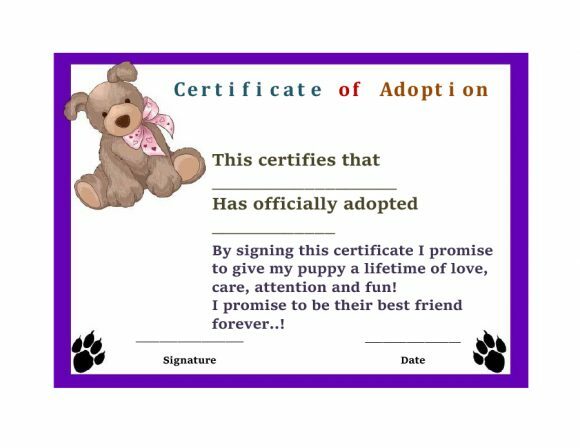 Also, in order for you to be able to adopt a pet, you must be old enough. 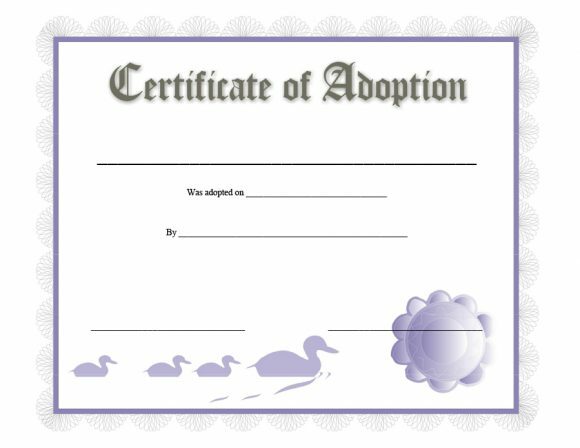 Most adoption agencies require that a person be 21 years old at least to adopt one of their pets. You may also have to present some form of identification as proof of your age. 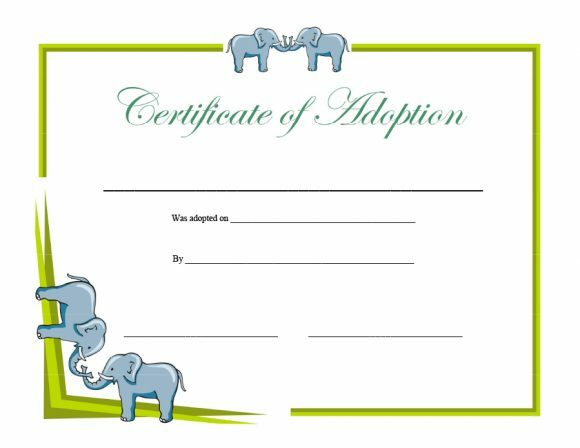 If you’re adopting a pet for your child, all you have to do is present your ID and fill in the necessary paperwork. Finally, you may have to pay for some adoption fees. These fees go into the funds of the adoption center to keep it running. It allows the center to employ staff to care for the pets who haven’t found homes yet. The fees also help ensure that all the other pets in the agency are well-fed and kept healthily. 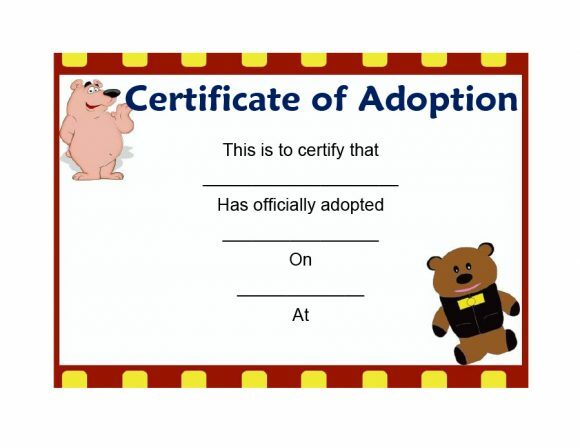 Before you start asking for or making an adoption certificate, you need to adopt a pet first. If you’ve never owned a pet before, you may wonder where you would adopt your perfect pet. In fact, there are many places to do so. Let’s take a look at two of the most popular options. When you adopt a pet from a shelter, you have 2 options – public or private shelters. Public shelters include county and city shelters or the pound. Private shelters are those owned by private organizations. They usually have “humane society” or other similar wordings on their name. Such shelters operate independently and usually, private organizations run them. Although some shelters may have similar names, there is no connection between them. Generally, shelters have a physical space, operating hours, and a whole staff. Some shelters have volunteers working for them who organize pet adoption events regularly. Most shelters have contact numbers. While, some may not answer it as they’re understaffed. The best thing to do would visit the shelter to see if it’s the place where you’d like to adopt your pet. If the shelter has a website, you can visit it and look through the adoptable pets. When you have a few choices, visit the shelter to see the pets up-close. 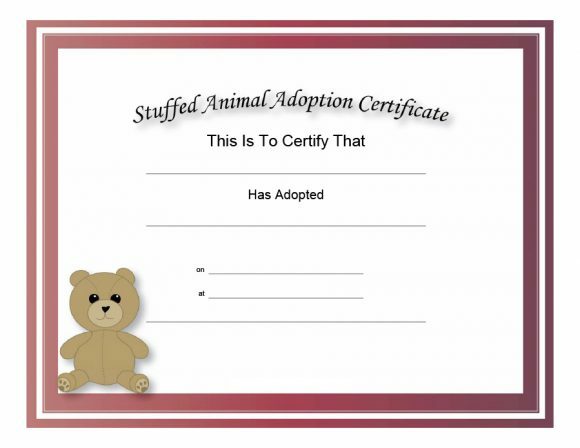 You may even ask one of the staff members if you can hold the pet you’re considering adopting. Once you’ve made your choice, talk to one of the staff members. 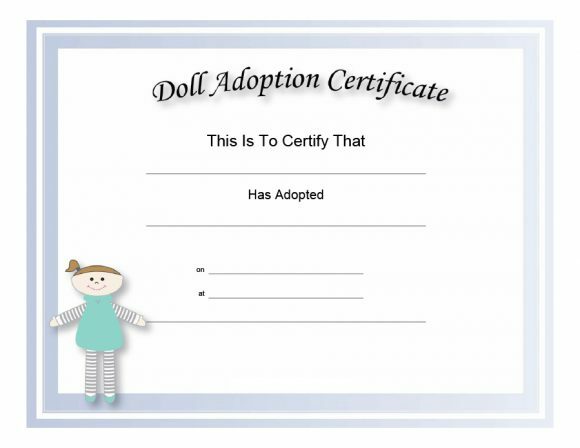 You may ask for basic requirements essential for adoption. After completing all the requirements, submit them. Also, you can ask for all new pet’s records and health information. When you have everything ready, you may take your pet home! Usually, the adoption process is as simple as that. 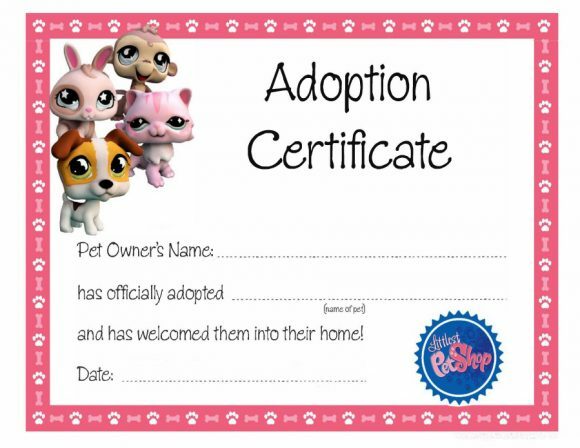 Then you can create a pet adoption certificate to mark the special occasion. Usually, rescues have the pets in boarding facilities or foster homes. Volunteers take care of the pets until they find a new and permanent home. Occasionally, they host adoption events to advertise the pets. This is an easy way to find new owners for them. When you’re planning to adopt a pet from a rescue, you may check their site first. 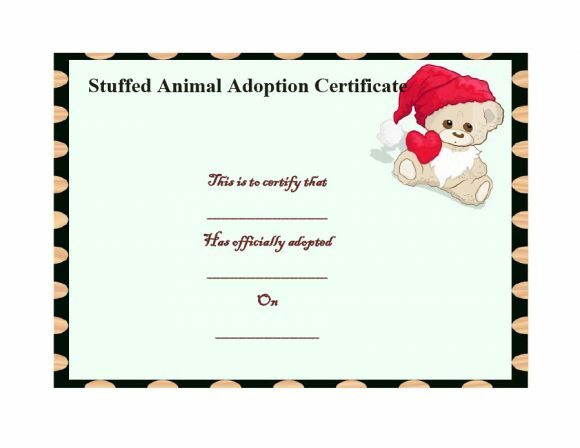 From there, you may even read the descriptions of pets and inquire about the process of adoption. Again, you can first check the website of the rescue. 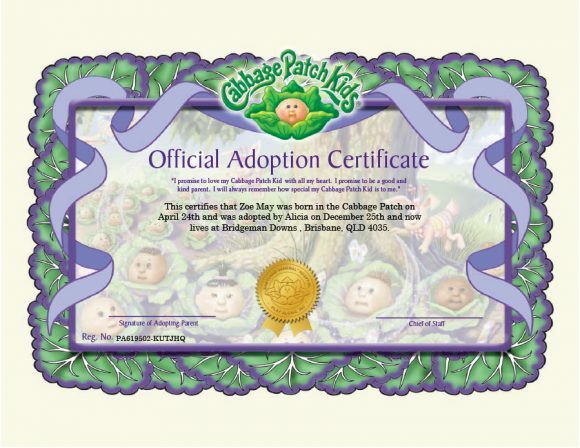 Nowadays, adoption agencies, centers, shelters, and rescues already have their own websites. Then, you can email them to ask about the pet you’d like to adopt. In some cases, you may also have to fill out an online application form. One of the volunteers may contact you in response to your email. If the volunteer gives you a call, you may ask more questions about the pet you’re interested in. If you think the pet would be a good match for you and your home, you may arrange a meeting with the volunteer. The volunteer handles the pet. When you’ve made a decision, the volunteer may come to your home for a home-check. They usually do this to ensure that all their pets end up in safe and happy environments. After all formalities, a volunteer gives you all the pet’s records and other documents. Then, you can take your new pet home! These are two of the most common places where you can adopt a pet. But what’s the difference between them? And which one is better? Well, adopting from a shelter has some advantages. The most important one being that you’d be able to see all the pets at one time. So if you’ve gone through their site and you have a few options, you can meet all the potential pets at one time. Also, a lot of shelters don’t have complicated screening processes. You’d be able to take the pet home on the same day. On the other hand, volunteers from rescues know a lot about the pets they care for. So you’ll be able to learn a lot about the pet before you adopt. In the end, the decision from where to adopt lies with you. 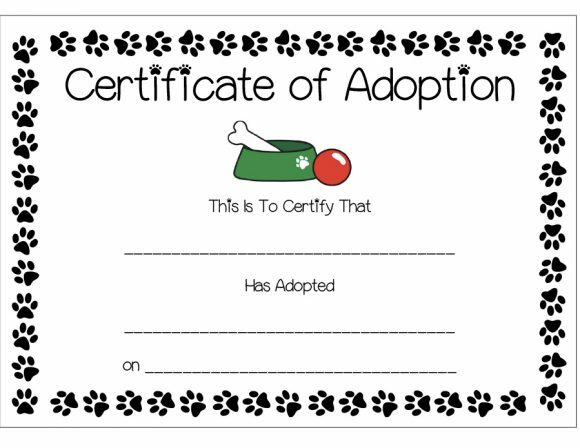 A pet adoption certificate is quite easy to make. You can make your own template on your own or find one online. 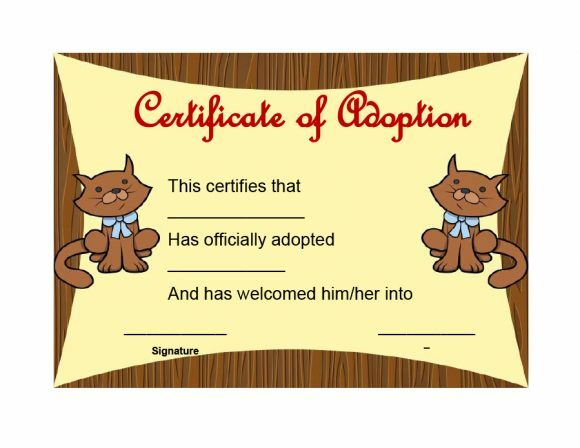 Either way, making a cat/dog adoption certificate lets you wrap up the adoption process. 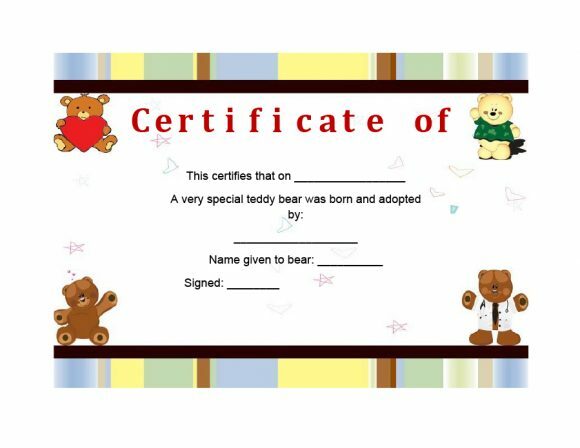 Since this type of certificate is more of a keepsake than a document, you can decide on its wording and design. You may use any kind of border, any color schemes, and you may even include a picture of your new pet on it. 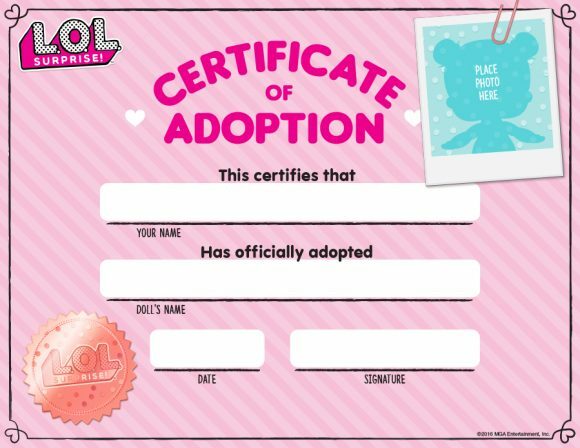 If you don’t want to make the certificate on your own, you can go online and search for templates. There is a lot to choose from, all you need to do is find the one you like best. Once the layout of the certificate is ready, you need to provide relevant information. 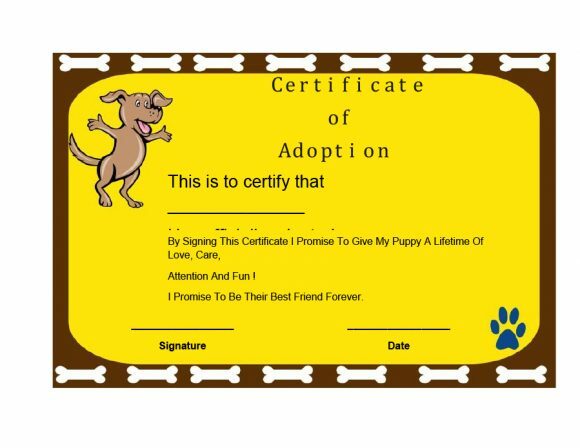 This would include your pet’s name and your name as the owner. 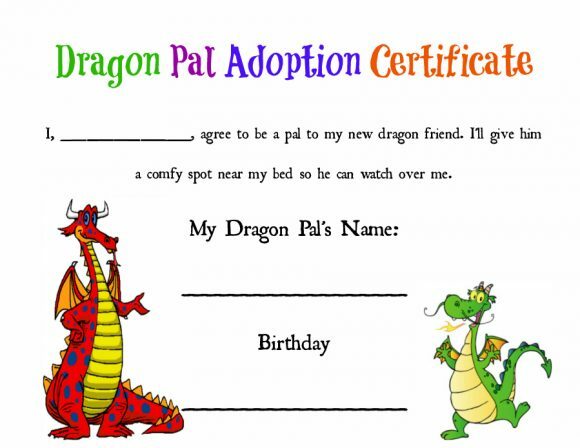 If you’ve adopted a pet for your child, then input your child’s name. 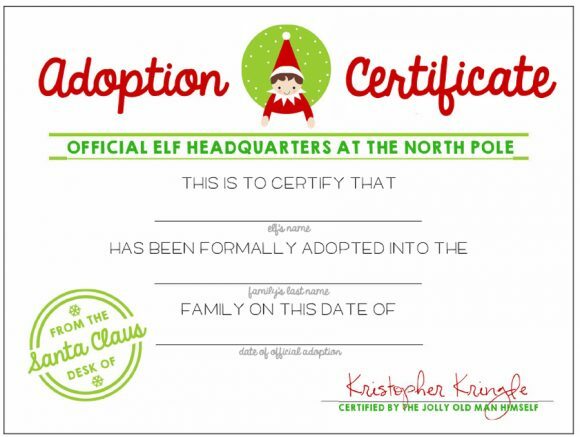 Also, type in the date when you adopted your pet and other information. 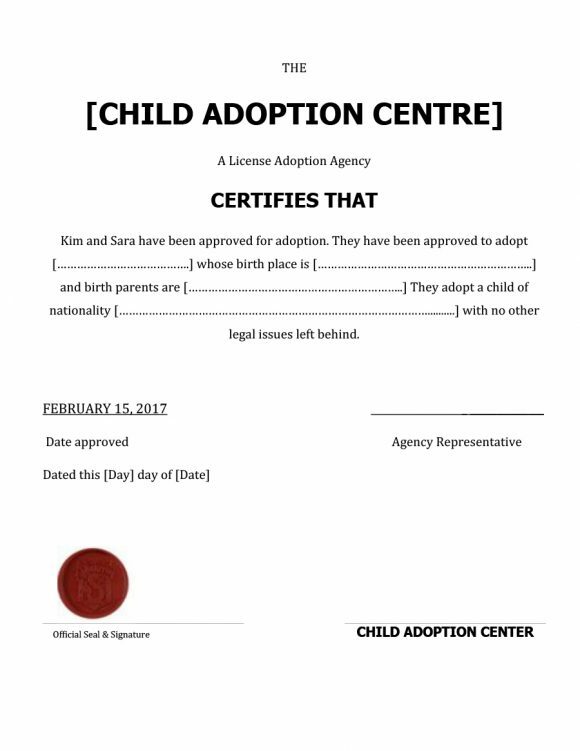 You’d like to include important information such as name of the adoption agency. When you’re done, check your certificate to see if there are any errors you need to correct. 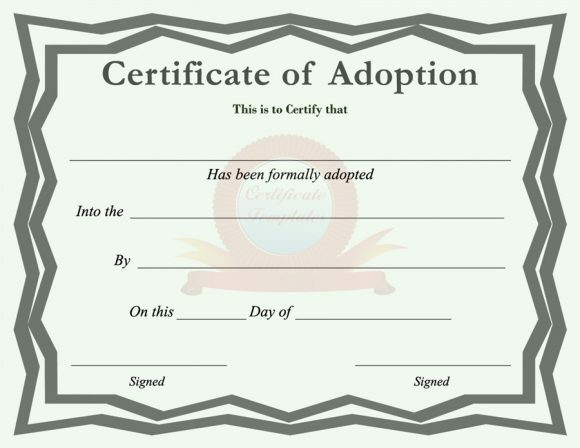 As soon as you’ve checked everything and you’re happy with your certificate, go ahead and print it out. 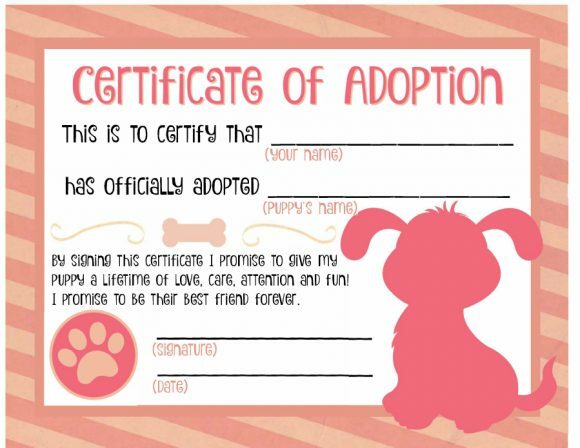 In the end, you’ll have a proper pet adoption certificate template.